A content community is, in essence, a network of people who discuss a particular industry and key issues or developments in that industry. Any business or brand that consistently curates and shares their own content becomes a member of a content community when it promotes engagement with content among customers. The key distinguishing feature of a content community is that there is a participatory experience for the customer and the company that publishes the content, whether in the form of comments on blog posts and videos, or active forums that promote discussion about key industry topics. So, how can your business or brand benefit from building a content community? 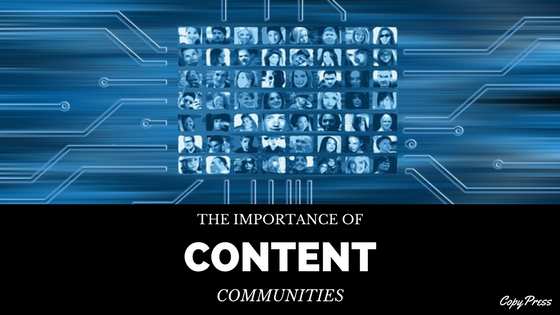 Read on to find out why content communities are important. Get inspiration from some examples of brilliant content communities that help businesses grow. Building a content community can be incorporated as part of your brand’s content marketing strategy. Implemented effectively, a content community brings a host of potential benefits to your marketing strategies and to your brand as a whole. 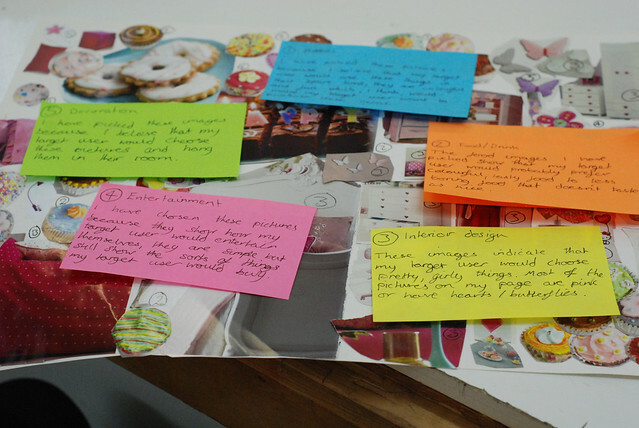 The concept of market research revolves around businesses and brands attempting to gauge information about the needs and preferences of both existing and potential customers. A vital benefit that a content community can bring to your brand is the level of insights provided on customer needs. A survey of over 800 companies conducted by customer engagement platform Get Satisfaction found that 67 percent of businesses collect ideas for new products or features directly from customers in their communities. The beauty of building a community revolving around customer engagement with your content is that you get incredibly valuable insights on what your customers want without needing to conduct additional research. For example, you can build a content community by posting regular content on your site, allowing customers to comment on the content, and interacting with customers in the comment sections. 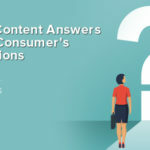 When you read through the comments left by participants in your content community, you get valuable insights on the needs of your customers, which helps generate ideas for new products or services and helps your brand refine your existing products. A huge part of successfully marketing a product or service is building trust among potential customers. Content communities are helpful in building the necessary trust for effective marketing because they remove the conventional notion of a brand as a distinct entity separate from its customers. By regularly participating in discussions about your content or your industry, you start to strip the away the typical boundary that exists between business and customer. Instead, the relationship between your brand and your customers becomes more of a “we” relationship, which makes your brand more trustworthy and allows you to better market your product or service. Additionally, a content community adds value to your brand because it improves brand visibility. 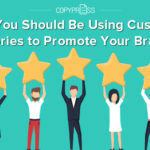 Customers are simply more likely to remember the brands that interact with them regularly, and they are also more likely to recommend such brands to other people, including friends, colleagues, and partners. The interactive quality of a content community means that customers can create content such as detailed comments, videos, or forum posts, which amplify your brand’s voice. An important part of implementing a new product or service to the market is testing that product or service with customers. Traditionally, correct and effective market testing is a time-consuming and expensive process that businesses use to verify the viability of a new product or service. Content communities make it much easier for your brand to test potential new products on valued customers that you can trust. One of the most invaluable aspects of a content community is that it provides you with an engaged group of customers to test new products on. You can test your new concepts on members of your content community and get important feedback on these concepts, all without needing to conduct market testing in its more traditional and expensive format. An important benefit of building a content community is that it can improve your brand’s ranking in search engines. When many people interact with and discuss your content, Google and other search engines take notice of this and index such discussions. 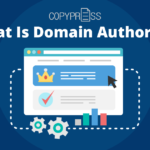 Domain authority is one of the key drivers of organic search traffic. When you build a solid content community, you increase your brand’s domain authority by virtue of increasing the social signals on your content. Search engines tend to rank content higher that has lots of social signals, which come in the form of likes, comments, and discussions. 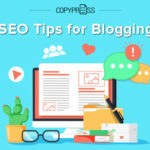 Since content communities serve as platforms that promote plenty of discussion and interaction with your content, there is a good chance of this leading to more traffic from organic sources. To understand the efficacy of content communities, it helps to look at some real-world examples of brands that are killing it with their own communities. Sephora is a French chain of cosmetic stores, and this brand’s online content community serves as an ideal example of a business that understands the value of such communities. Sephora runs its own online community named Beauty Talk. The community is essentially a huge forum that allows users to ask questions, get advice, and share ideas about cosmetics. The company promotes interaction on a huge scale using Beauty Talk, with thousands of conversations on a range of topics in the cosmetics industry. Sephora cleverly promotes its own products within the community by featuring a Gallery section in the Beauty Talk forum, which allows users to upload photos of the Sephora products they currently use. The photos include links to the product pages on the Sephora website of any products used in the images. Beauty Talk is a great example of an established brand using a content community to increase sales and boost brand awareness. British chef Jamie Oliver expertly uses his own video content community via a YouTube channel to promote his brand. The Food Tube community has over 3 million subscribers and over 300 million views, which makes it one of Europe’s largest food communities. The channel revolves around video content, including recipes, tutorials, and other information about food. Subscribers can interact with the content by commenting underneath the videos. In addition, Jamie Oliver promotes user engagement by browsing YouTube for cooking talents and allowing these aspiring chefs to post videos on his Food Tube channel. Jamie Oliver brilliantly shows how brands can improve their online presence and boost their reputation by building a content community that involves user engagement and active participation. Jamie himself often leaves comments underneath the videos, which further builds trust among customers who perhaps want to visit his restaurants or buy one of his many cookbooks. Using its My Starbucks Idea concept, the multibillion dollar American coffee chain and member of the lucrative S&P 500 index of shares shows how businesses can effectively gauge the needs and wants of their customers using a well-built content community. My Starbucks Idea is essentially an online forum that allows coffee enthusiasts to share their ideas about what they want from Starbucks’ products. Users get to submit their ideas for new Starbucks products or improvements to existing products in 500 characters or less. Other users can vote on the ideas and share their feedback. The beauty of this online community is how it helps the customer feel valued and removes the typical barrier that exists between brand and customer. Starbucks helps to reduce the barrier not only by allowing customers to submit ideas but by telling the community which ideas the company puts into practice. Furthermore, the My Starbucks Idea concept is a great example of a brand leveraging the value of its customer insights and using that to improve the products and services it offers. Lego Ideas is another great example of a brand using its own unique content community to boost brand visibility, generate ideas, and improve customer engagement. In the Lego Idea community, users can share ideas for Lego sets, vote on other people’s ideas, and leave feedback. Ideas that get lots of support in the community get reviewed by the Lego team, who can then decide to transform the design into an actual Lego product. 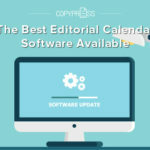 This content community involves users in the idea generation process for product creation, which gives the company some amazing marketing data that it can use to develop new products. Furthermore, Lego Ideas promotes brand visibility by keeping people engaged with the company’s products. The benefits of content communities reach further than simply improving sales. Companies and brands can create and incorporate a content community into their content marketing strategies and see benefits to market testing, organic search traffic, and brand exposure. Content communities promote a sense of engagement and trustworthiness among customers that boosts customer retention and brand loyalty.